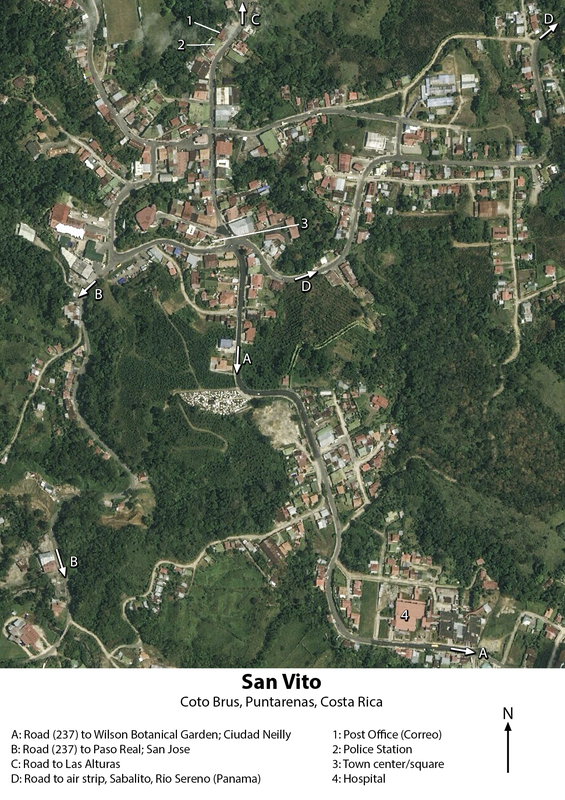 There are some great maps for travelers to Costa Rica and, increasingly, digital maps as well. 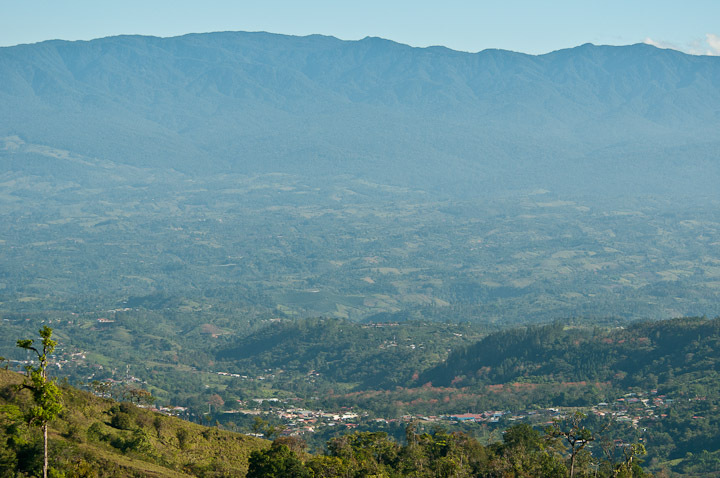 Omnimap.com has the best offerings of Costa Rica maps we’ve found, all on one site. Toucan Maps/MapCR has one of the best all-purpose printed maps of Costa Rica. Their map is included in the Omnimap.com listing, but this digital “travel map” on its own website is worth checking out. Maptak has digital “screen filling detailed maps of Costa Rica”. For our area, click on Puntarenas under Provinces and zoom in the southwestern section. MapasdeCostaRica is a website with a treasure trove of digital maps of Costa Rica, including the entire 1:50,000-scale map collection of the Instituto Geográfico de Costa Rica, the Costa Rican equivalent of the US National Geodetic Survey maps. Casa Botania Bed & Breakfast. Cascata del Bosco, practically across the road from Las Cruces Biological Station/Wilson Botanical Garden, has four comfortable cabins. They also provide breakfast. Las Cruces Biological Station/Wilson Botanical Garden, part of OTS (Organization for Tropical Studies), has naturalist visitor accommodations. Green House Cabanas, a bed & breakfast in nearby Aguas Claras about 5 km from San Vito on route 612, also has a good restaurant. Pino Colina (cabins next door to the Wilson Botanical Garden). Pino Colina has no website yet, but the owner is a member of the SVBC, so contact us for more information. Casa Blanca, a private rental home in Linda Vista near San Vito, next to the home of two of our local members, is about halfway between San Vito and the Wilson Botanical Garden and available for vacation rental. Two charming cabins, next to the home of two of our local members, are just a 15-minute walk from San Vito and available for short-term rental: one with full kitchen, one without. Casa de las Nubes, a private rental home in the San Vito area owned by one of our members and just minutes from the Wilson Botanical Garden. Fine dining is not the main reason to visit this part of Costa Rica, unless you’re fortunate enough to be taking meals with some of our resident members who are exceptional cooks! But like most towns in the country, the restaurant scene is constantly changing, and San Vito is fortunate to have some restaurants worth visiting. The following list represents our current favorites, all within a 10- to 15-minute drive from the center of San Vito, but there are also several respectable sodas, lunch restaurants offering simple local cuisine. Cascata del Bosco. This is an American style bar and restaurant very near the Wilson Botanical Garden. Public restaurant open Wed-Sun, 10am – 9pm; public bar open Wed-Sun, 11am-11pm. (The restaurant is always open for overnight guests.) Phone: 2773.3208; 8819.0155. Pizzeria y Restaurante Liliana. Liliana’s is a local institution, an Italian restaurant started by one of the Italian pioneer families that settled this area in the 1950s. It’s located just down a side street near San Vito’s small central park. Open every day for lunch and dinner; no reservation necessary. Phone: 2773.3080. Don Conchito Restaurante. About 6.4 km from San Vito on the road to Sabalito (route 613) and about 1.5 km from Sabalito, they serve good local cuisine (comida topic); open for lunch and dinner. 11am – 9pm every day. No reservation necessary. Phone 2784.0660. La Casa Italiana Pizzeria. Opened in February 2017 by Marco and Chizusu, formerly of the San Jose area, has a sophisticated menu of Italian dishes as well as pizza. About 6.5 km from San Vito on the road to Sabalito (route 613) and about 1.4 km from Sabalito, they’re open noon to 10pm every day except Monday. Green House Cabanas, a bed & breakfast in nearby Aguas Claras about 5 km from San Vito on route 612, also has a good restaurant of local cuisine (comida topic), but you must make a reservation if you’re not staying there: phone 2773.3228 or 8899.3228. Open every day but Sunday, noon to 2 pm for lunch, 6-9pm for dinner.